Jalandhar: The Dal Khalsa today called upon the Shiromani Gurdwara Parbandhak Committee (SGPC) to set up a 5-member committee of renowned Sikhs historians and academicians not aligned to any political party to review all the books on Sikh and Punjab history especially about Ten Guru Sahiban and their period written during the last 30 years. 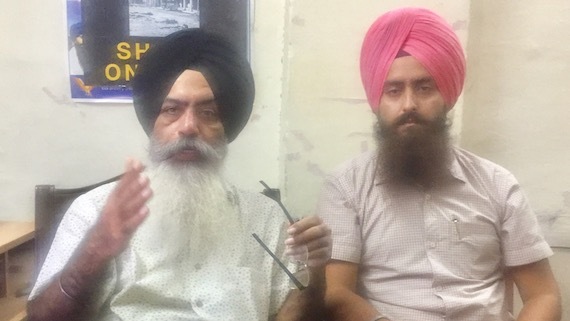 Tinkering with history by anyone is a cultural crime and should be dealt with accordingly, asserted Dal Khalsa spokesman Kanwar Pal Singh in a statement released to the media. The current imbroglio in chapters of Class XII of Punjab School Education Board is not a case in isolation. Even the NCERT and SGPC published books have faced strong criticism because there are many distortions in their publications also, said he. “It is common knowledge that syllabus books are authored by atheists and agnostics, who are totally insensitive to matters of religion, culture and nuances of history. There are others who are currently in the mode of ultra-nationalism and therefore highly prone to covert distortions”, he observed. Sikh Youth of Punjab president Paramjit Singh Mand stressed the need to preserve all original sources of Sikh history, presently available, not only in India but also in Pakistan and other countries.